The article originally appeared in Volume 4 of Strong360 monthly. If you like what you read, and you want more of this content, and to get your hands on it as soon as it’s published, click here or follow the link at the end of the article. A year or two ago, I was working with a Rolfer who said this to me. She was trying to get me to understand that I shouldn’t have to remain so stiff to try and control every single movement. That they should be more free and natural. It took me a while to understand what she was talking about. I don’t think that I was ready to hear it at the time. I am really into doing Einstein-style “thought experiments”. I have been blessed over the past few years to be able to work with some really amazing coaches, doctors, and athletes that have given me tons and tons of “dots”. I feel like these days I spend most of my time sitting around trying to connect all of them. Considering information from all of these sources, I have really come to love the idea of effortless mobility. In my last Juggernaut article I began to explore the role that our brain plays in our mobility. The idea that most of the time our muscles are tight because our brains are telling the muscle to be tight. More than likely, it is doing this due to a weakness or imbalance somewhere else and it doesn’t feel it would be safe to allow the muscle to return to it’s normal length. Stretching may be necessary, but more than likely is only part of the solution. We must figure out how to lower the threat level in the brain and learn to move again. The quest for effortless mobility doesn’t start with effortless mobility though. It would be great if we could just say “just don’t think about it” and people would be magically healed, but it isn’t that simple. There are stages that we need to pass through. Stages that we, as strength coaches, must be able to recognize in order to give our clients/athletes what they need. This is where many of our regular everyday “look good/feel good” clients are when they first walk through the door. They may have exercised before. Many of them have experienced dull aches and pains during intense exercise. They have not linked those aches to their poor movement quality because they have not been exposed to the information. Most people chalk things like that up as normal. This is when we can use our assessment or movement screening to enlighten these individuals. For myself, the screening is more of a tool to teach people about themselves and how each piece of the puzzle plays into the grand scheme of their overall mobility. The truth is that for 99% of people, we don’t need much of a screening. We can use our regression exercises to do the screening for us. When someone walks through the door in this unconscious incompetence phase, I want to use our assessment to prepare their mind to learn. We do this by gaining trust and demonstrating some change in their ability to move and connecting things you find in their screening with some problems that they already knew that they had. We always want to be cautious using words like “concern” or even mentioning the word “injury”. I don’t want to scare anyone. As we are going to be moving through these stages, we are attempting to create neuroplastic change in their brain. In order to make that happen, we need to limit the amount of stress as much as possible. Most of these type of people came to the gym just wanting a good hard workout. There is no reason to create new fear or anxiety. It will only hinder our progress. This is where most of the athletes are when they come to see us. They are either in pain, or they are fully aware that they have some type of mobility restriction that is limiting them. They are likely surfing the internet looking at different stretches, maybe even corrective exercises. They likely have found some things that are providing temporary relief, but many times they just keep chasing problems all around their body. One stretch make this thing feel better, but then next week this other thing hurts. For these people I need to use my assessment to demonstrate to them that the body is one whole system, and that, more often than not treating part of the system is an exercise in futility. During any screening it is important to be able to demonstrate some type of change. I often times use some neat breathing trick to instantly gain range of motion that the client has never had. This is going to gain the trust and confidence that they need in order for us to make permanent lasting changes. This is also when we begin to teach our regressionary exercises. The clients who came in at step 1 have moved on to this level of conscious incompetence. 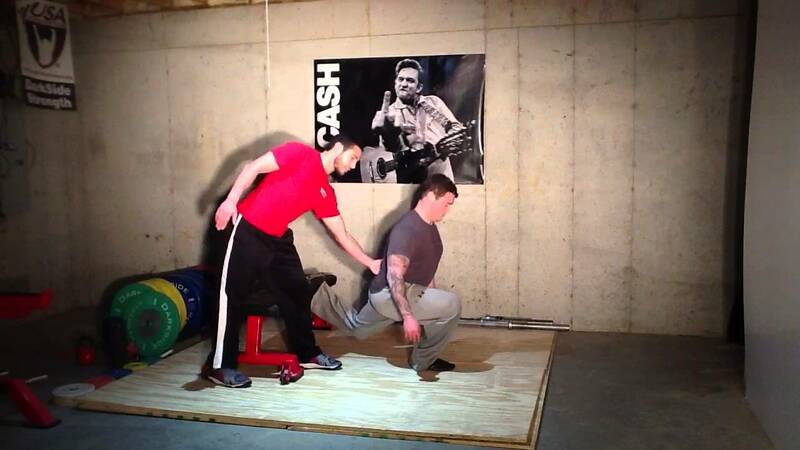 The split squat is my favorite example to use. We can usually get nearly anyone into a pretty good split squat with just a few glute activation drills and maybe some stretches. However, this split squat at first usually looks kinda sketchy. The client may have trouble maintaining a good stable base with the lead foot. They may have a forward torso lean, or perhaps they will rock forward in order to stand up. The way that we regress exercises put people into a position where it is harder to compensate. This is probably the most critical time of learning when improving our mobility. As a coach we need to look for the signs that we are causing too much stress. Watch your clients fingers, they should be able to remain relaxed, not curled up like they have cerebral palsy. That is a telltale sign that we are causing too much stress, and too much stress is going to hinder the change that we need to make in the brain to make these movements more automatic. Feedback is also critical when attempting to move from this stage into conscious competence. I prefer to have any client in this stage to perform these movements barefoot. Feedback from the coach is also critical. Thordike’s Law of Effect tells us that an organism tends to repeat responses that are rewarded and avoid responses that are punished. Things as seemingly insignificant as the tone of your voice can affect the rate at which your clients gain new skills. To create real change in the brain and new connections between neurons we need intense focus and low stress. Solid coaching, and notice the relaxed hands. Ryan’s that is, not Johnny’s. If we continue to use the split squat as our example, then our clients now have the ability to perform the perfect split squat. They can maintain the stable foot in the front. They can keep themselves from sliding forward in order to bias that front leg and to get a little boost from the quad to get out of the bottom. They maintain stacked at the top and don’t allow their lumbar to go into extension. The back of their neck is long and the neck remains packed throughout the movement. Only one problem. Life shouldn’t be so hard. Moving your body should be simple and nearly effortless. This is something that I used to really harp on with people. I actually preferred Dr. Bill Hartman’s version “Posture dictates performance, and breathing dictates posture” I used to be really focused on posture and trying to teach people to maintain good posture. What I have come to realize was that you can’t teach posture. It should just happen. Just as Ms. Stepan told me “gravity is a force that acts not only upon you, but within you.” We shouldn’t need to hold our breath and brace in order to maintain our posture. It has often been said that thought is the mark of a novice in sport. I often see people needing to hold their breath and brace as if they were performing a maximum effort squat just perform a split squat. It shouldn’t be this way. Once we have learned to control a movement. We have to learn to allow movement to happen. Once you master a movement, it will be second nature – that’s the goal of the final stage. In the Marine Corps, we would drill changing magazines hundreds of times. “Muscle memory” was a favorite catch phrase in the Marines. I think that we probably had some things backwards about learning and when to add stress, and maybe how much stress, but I can promise you that we could all change our magazines really fast. The idea being that if we practiced that basic movement hundreds and hundreds of times, that it would happen automatically without any conscious thought when the time came. Conscious thought could be reserved for other matters. This is the level that we aspire to attain with all of our movement. I want my clients to raise their arm above their head and maintain a good rib position without them having to think about it. I want them to walk down the street and maintain a good hip position automatically. Not only is this going to help me not to create a bunch of neurotic freaks who get on everyones nerves by obsessing about their movement all the time (ie Paleo Dieters, Supple Leopards), but it is going to truly help them to avoid injury and to feel good for the rest of their life. I would argue that nearly any coach can get people to a state of conscious competence. This is going to allow them to have good “technique” when doing movements inside of the gym. Most of our conscious competence people run into little issues, either causing pain, or some “technique” issue that consistently goes wrong in their lift that causes them to fail. The next step in our mobility is to make good clean movements happen at all times, inside or outside off the gym, and for them to happen without conscious thought. Training the body is pretty simple and straight forward. We have got to be strong enough to maintain the correct position. In order for us to take the next step, we have got to train the brain. Learning to manage emotion and stress has as much of an impact on getting us to the level of unconscious competence as the exercise itself. Free your mind, and the rest will follow. 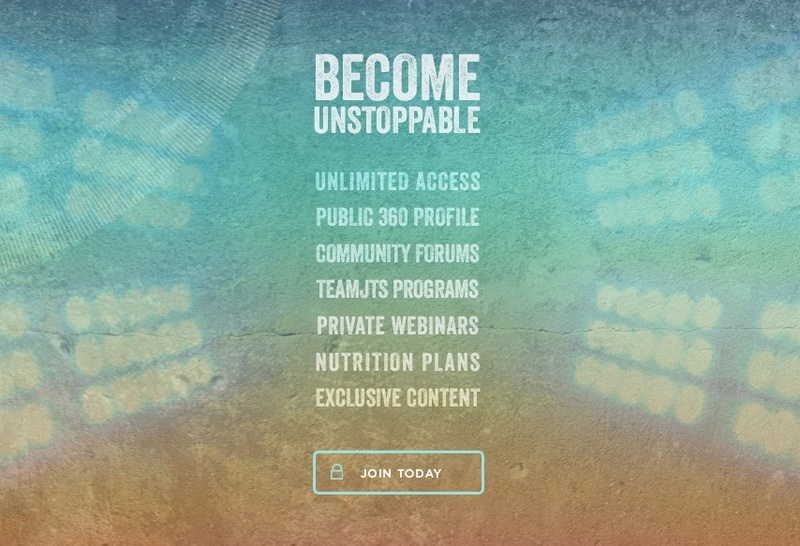 For more information like this, join Strong360, Juggernaut Nation’s community of strength. On top of more great articles like this, you’ll gain access to hours and hours of exclusive video content and access to the minds of the JTS athletes and coaches. Just click the banner below. Ryan Brown is the head physical preparation coach and owner of Derby City CrossFit / DarkSide Strength in Louisville,Ky. Ryan’s focus is on correcting and perfecting movement/motor patterns to get the most out of his athletes. He has competed in CrossFit, Powerlifting, strongman, and currently Olympic lifting. His clients include; elite level power lifters, national level Olympic lifters, pro MMA fighters, college football players, HS athletes, CrossFitters, old broke people, and pretty much anyone else who wants to do something better.